For more than a century, the classic Southern soft drink has been a preferred cocktail mixer. Today, crafty bartenders use it to add sparkle, balance, and a spritz of history to handcrafted tipples. Almost from the beginning, the classic Southern soft drink has been a preferred cocktail mixer. Today, the nation’s craftiest bartenders are using it to add sparkle, balance, and a spritz of history to handcrafted sippers. Before their wedding, Angie Salame and J.P. Fetherston sent out a save-the-date card. Printed to look like a cocktail coaster, the stylish pen-and-ink drawing depicted a glass of whiskey, a tiny red heart, and bottle of Coca-Cola. On May 9, 2015, they said their vows on a bed of oyster shells under a tent overlooking the Chesapeake Bay in Topping, Virginia. The bride wore a form-fitting white gown, her Botticelli-blond curls crowned with a garland of flowers and greenery. The groom looked handsome in owlish horn-rims and a slim, electric-blue suit. The wedding cake was a showstopper, a nine-layer confection of Rice Krispies treats slathered with frosting. It sat on a homespun dais — a wooden Coke crate turned upside down — topped with tiny replicas of the couple’s favorite beverages. “I was a little Coke bottle, and J.P. was like a little mini whiskey,” Angie recalls. Angie and J.P. Fetherston, both 32, are Washington, D.C., cocktail professionals. They understand the value of Coca-Cola — as a cocktail mixer, memory maker, social lubricant, and business investment. Angie is CEO of Drink Company, a group of bars she founded with her business partner, Derek Brown, in 2010. J.P. is beverage director at the Columbia Room, the Drink Company’s marquis establishment and a two-time semifinalist for a James Beard Foundation Award in the Outstanding Bar Program category. Last year, Tales of the Cocktail, which bills itself as the world’s premier series of cocktail festivals, named the Columbia Room the Best American Cocktail Bar. For Angie, Coke is like champagne, only better. “When we had our Southern whiskey bar,” she says, “we served Coke with peanuts in it.” A bottle of Coca-Cola filled with peanuts is a deeply beloved snack in the South. Of course, being bar people, Angie and J.P. threw in shots of whiskey on the side. In 2005, Atlanta bartender Greg Best put on a suit and wandered into Restaurant Eugene, an elegant farm-to-table restaurant run by chef Linton Hopkins and his wife, Gina, on the city’s fabled Peachtree Street. He was out of work and needed a job. Cleverly, he convinced the Hopkinses their bar program needed work. They hired him on the spot. Soon, more customers were lining up to sip Best’s thoughtfully concocted cocktails than to eat dinner. The only solution was to open a second spot, with a focus on cocktails, next door to Restaurant Eugene. That’s how, in 2008, Holeman & Finch Public House was born. And how Best, now a partner at Ticonderoga Club, a cozy drinking lair tucked into the corner of Atlanta’s Krog Street Market, came to be a central figure in his adopted hometown’s craft-cocktail movement, and to celebrate the city’s most venerated global brand, Coca-Cola. At Holeman & Finch, Best instituted something called The Coca-Cola Perfect Serve Laboratory. Over time, he would devise a list of smartly tailored adult beverages jazzed up with Coca-Cola-laced syrups, gastriques, bitters, sprays, and cherries. And he would give them names that evoked the locality and lore of the iconic Southern soda pop. The Pause That Refreshes was a riff on the classic Kir Royale: Orange bitters and a Coca-Cola reduction were the base for a lift of bright sparkling wine. The North Avenue Sour (named for the Atlanta street that is home to The Coca-Cola Company’s headquarters) was a whiskey libation in which a balsamic-textured Coca-Cola-and-cherry grenadine syrup was drizzled over the frothy top of a peach-infused sour. The Resurgens was a tricked-up Manhattan, calling for rye, Italian vermouth, and bitters Best brewed from Coca-Cola, Georgia peach pits, orange peel, and some esoteric ingredients like gentian. But first, Best wanted to evoke the mystique of the soda fountain and the origins of Coca-Cola, which as you may have heard was invented in 1886 by a pharmacist named John Pemberton in downtown Atlanta. “When somebody ordered a Coke, rather than just bring them a bottle of Coke and a glass of ice, we had a series of questions we would ask them to craft their Coke,” to order, he recalls of Holeman & Finch’s Perfect Serve experiment. “Because everyone grew up drinking Coke their own way,” Best says. “Some people put salted peanuts in it. Some people drink it with lots of lime. Some people love crushed iced. Some people love it warm. So, we would go over this series of questions.” Ice crushed or whole? A little citrus? A flavored syrup? Damn right, it is. Just wait till you try it with bourbon or rum. Almost since the beginning, Coca-Cola has been enjoyed as a cocktail accoutrement. A thirsty tippler might arrive anywhere — family picnic, tailgate party, rock concert, exotic port of call — and find it readily available as a mixer. Coca-Cola with a kick is a time-honored libation, certainly in the South, but also around the world. No recipe, no cocktail pitcher, no elegant Waterford crystal required. If the South has a defining drink, it’s probably Kentucky bourbon and Coke. So, for that matter, does Jack and Coke, shorthand for Jack Daniel’s Tennessee whiskey and Coca-Cola. Beloved by Southern college football fans, not to mention the music fans who make it a default order at concerts, Jack and Coke is often wielded like a liquid megaphone. Derek Brown is a cocktail historian and “chief spirits adviser” for the National Archives. Like many drink geeks, Brown loves debating the origin of Rum and Coke. If ever a drink spoke to the confluence of history, war, politics, and pleasure, this was it. Everybody, it seems, has an opinion on the beverage, which was later zipped up with lime (most likely by the Cubans) and christened the Cuba Libre. Adding a blast of Cuban rum to Coca-Cola was like The Shot Heard Round the World, Part 2. It’s nice to think that weary U.S. soldiers, who remained on the island until 1902, took respite in mixing the Coca-Cola they knew from back home with island rum. “You are dealing with all these young military folks who grew up having a Coca-Cola as their treat,” Best says. Nostalgia aside, the theory is factually watertight. And American pop culture, as it usually does, responded appropriately. In 1945, the Andrews Sisters had a smash hit with, “Rum and Coca-Cola,” a Calypso song that begins with the tinny screech of a lonely horn and goes on to summon the fluttery feel of cavorting on the breezy island of Trinidad. Listen closely to the catchy tune, though, and you realize it’s a lilting paean to colonialism. Whatever one reads into the song (or about the long dispute over exactly who wrote it), it got the message out to people all over the world: Coke goes well with spirits. 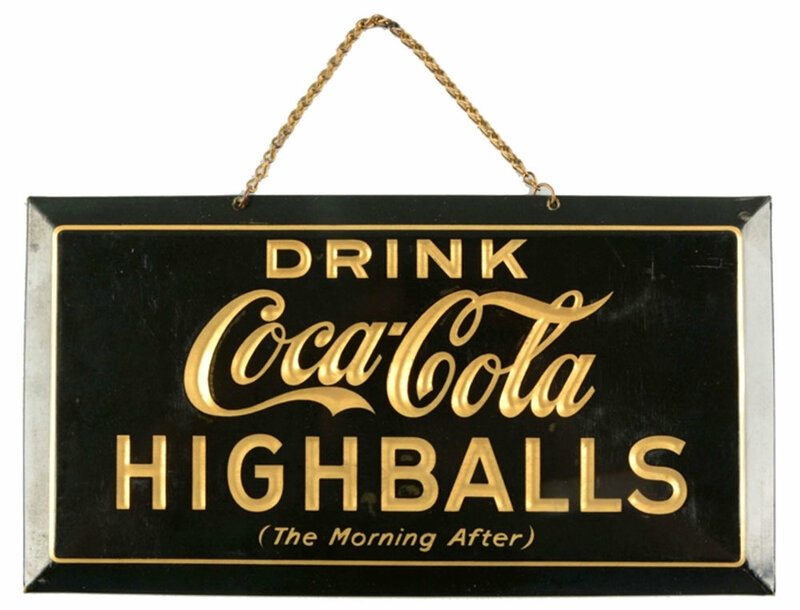 The highball — defined in the bartending canon as the mixture of whiskey with any soda — was gaining popularity just as Coke was invented. And the idea of Coca-Cola as a mixer spread worldwide. 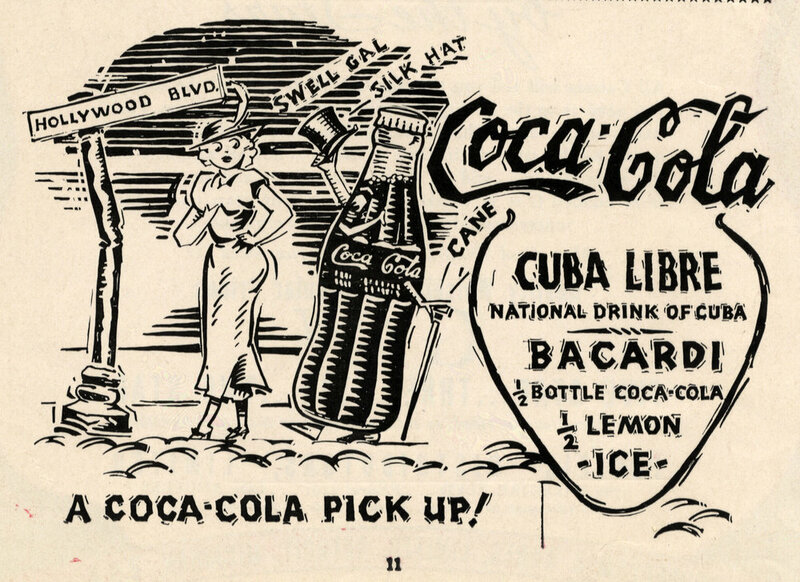 “Latin America is huge on Coca-Cola highballs,” says David Wondrich, the eminent beverage historian and author. Mexico loves the Batanga (tequila with Mexican Coke, lime, and salt on the rim). Argentina, with its large Italian community, savors Fernet Con Coca (Fernet-Branca and Coke). And though one might assume the national drink of Chile is the Pisco Sour, Wondrich says it’s actually the Piscola (Pisco and Coke). Many contemporary bartenders stay close to the highball tradition when concocting spirited Coca-Cola refreshments — even as a skyrocketing number of spirits choices make that more complicated. Think about it: We live in an age when bartenders have thousands of options when it comes to spirits. There is “small-batch” everything — bourbons, ryes, oddball American whiskies, rums made everywhere. In such a world, Coca-Cola becomes the consistently reliable part of the drink’s profile. Or, as Brown notes when discussing his love for rum and Coke, not all rums are created equal. Brown, when asked to come up with a drink to celebrate the 100th anniversary of the Coke bottle, crafted the Centennial Fizz. You can make it at home: Mix 1½ ounces bourbon, ¼ ounce fresh lime juice, ½ ounce of simple syrup, 2 dashes of Angostura bitters. Top with Coke, and garnish with lemon and lime twists. At Kimball House in the Atlanta suburb of Decatur, bartender Miles Macquarrie is so enamored of Coca-Cola he created and bottled an amaro that is his very own approximation of Mr. Pemberton’s secret recipe. When it comes to American bartenders who revere Coke as an ingredient, however, Atlanta’s Greg Best is unparalleled. On an early Saturday afternoon at Ticonderoga Club, he pops open his laptop and calls up a stash of Coca-Cola cocktail recipes. The Dry Dock is his re-do of the Iberian classic, Kalimotxo (red wine and Coke); his spin uses dark rum and his own Spanish-red-wine-based Coca-Cola vermouth. A Cool Shade (white rum, lemon, Bonal and Coke) is his riff on the Cuba Libre. It is a wonderful restorative on a hot summer day. So, what’s so magic about Coke as a mixer? “It’s the pause that refreshes,” he says, summoning one of the company’s “antique taglines.” He then lets out a long, appreciative sigh. As one does, after a swig of Coke. Shake all ingredients vigorously with ice and strain into a stemmed glass. Drizzle the surface with Coca-Cola grenadine. Garnish with a sprig of mint. Pour 12 ounces of Coca-Cola classic, 12 ounces of tart-cherry concentrate and ½ cup turbinado sugar into a medium saucepan. Bring to a boil over medium-high heat, stirring well to dissolve sugar. Reduce heat to medium-low. Simmer slowly until reduced by two thirds. Remove from heat and cool before using. Stir all ingredients briskly with ice and strain into a cocktail glass. Garnish with lime. In a small sauce pot, bring four cups of Coca-Cola classic to a boil over medium-high heat. Reduce heat to medium-low. Simmer until the Coke has reduced to 1 cup. Remove from heat and allow to cool. Pour the cup of Coca-Cola reduction into a large boiler along with 1 bottle dry Spanish or Italian red wine. Add peels of 3 oranges and 2 lemons (it’s fine to leave pith on); 1 cinnamon stick, 1 teaspoon grated nutmeg, and 1 teaspoon grated ginger. Bring to a boil over medium-high heat. Reduce heat to medium-low. Simmer gently for 15 minutes. Remove from heat and strain. Cool before using.